NASHVILLE, TN--(Marketwired - Dec 19, 2013) - Dr. Nicholas Sieveking, a board-certified Nashville plastic surgeon, says he is honored to be part of the first group of plastic surgeons in the country and the first plastic surgery center in the Nashville area to offer Vanquish, one of the latest advances in non-surgical fat reduction treatment. Dr. Sieveking says this non-invasive procedure is a game changer, as it is the only technology of its kind to provide relatively quick, comfortable treatment and long-term results. In a recent blog post on his website titled, "Vanquish Fat Removal: How Does It Work?," Dr. Sieveking explains the process. He notes that the Vanquish device is designed to never touch the skin, with placement approximately one inch above the treatment area. Radio frequency waves are emitted from the device, which are created to target and destroy excess fat cells without damaging the surrounding skin or muscle. Patients may feel a warming sensation during the procedure, but most people usually do not feel any pain. Once treated, the fat cells will be filtered out of the body through natural processes within two to eight weeks. Many patients have experienced a loss of up to three inches and two to three pounds after a cycle of Vanquish treatments. Dr. Sieveking says this technology is exciting because it has been created to successfully eliminate a larger amount of fat than any other non-surgical fat reduction technology before it. He says it can be a great option for patients who would like to eliminate excess fat from their waistlines that has been resistant to diet and exercise, with the added benefit of no surgery, scarring, or excessive downtime. Dr. Sieveking notes that Vanquish is typically used to treat the abdomen, hips, and back. Following the Vanquish treatment, most of Dr. Sieveking's patients are able return to work and resume their normal daily activities immediately. Some patients may notice pink or red skin, a warm sensation, or swelling around the treated areas, but Dr. Sieveking says the effects are typically minimal and often subside quickly. Dr. Sieveking suggests interested candidates contact a board-certified plastic surgeon to perform the Vanquish treatment. For individuals who would like to get rid of those few stubborn inches around their waistlines, but prefer alternatives to surgical liposuction, Dr. Sieveking says Vanquish can be a great option for long-term fat removal. Dr. Sieveking is a board-certified plastic surgeon who obtained his surgical training at Stanford University. After completing his residencies, Dr. Sieveking worked under two of the top plastic surgeons in the world, Ivo Pitanguy and Ewaldo Bolivar in Brazil. Following his time in Brazil, Dr. Sieveking joined the practice of Dr. Thomas Orcutt in Nashville. Dr. Sieveking has been practicing in Nashville since 2000, and offers a number of surgical and non-surgical cosmetic enhancement and anti-aging treatments. He is also dedicated to charity, having provided free reconstructive surgery to children around the world through Interplast/ReSurge International and Operation Smile. He is available for interview upon request. For more information about Dr. Sieveking, visit sievekingplasticsurgery.com, plus.google.com/113131107698335809471/about, and facebook.com/SievekingPlasticSurgery. 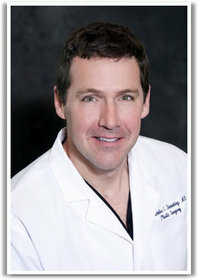 To view the original source of this press release, click here: http://www.sievekingplasticsurgery.com/nashville-plastic-surgeon-says-vanquish-fat-removal-technology-is-a-breakthrough/. Vanquish Fat Removal: How Does It Work?